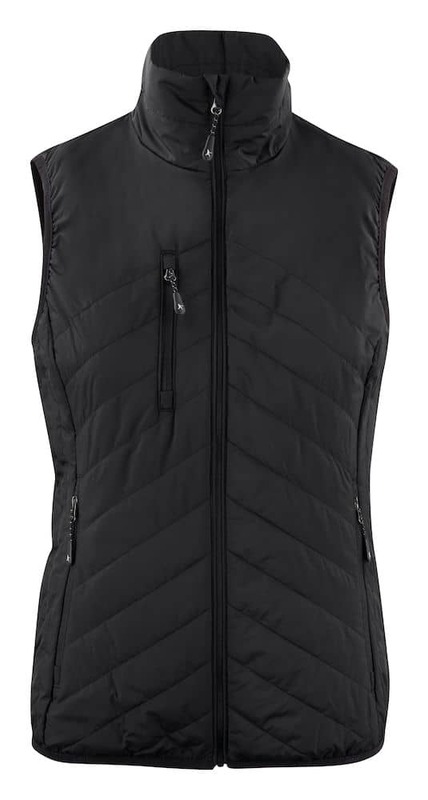 Quilted lightweight vest with Thermolite® Micro. Fully lined. Reversed coil zippers. Elastic binding at bottom hem and arm openings. The vest can be tucked into the front pocket as a travel bag. XS (6) S (8) M (10/12) L (14) XL (16) XXL (18).